februari 2010 | 1200 blz. 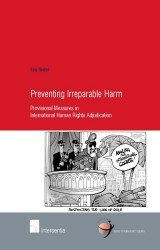 International human rights adjudicators, while facing urgent cases, have used provisional measures in order to prevent irreparable harm, e.g. to order States to halt an expulsion, the execution of a death sentence, destruction of the natural habitat, or to ensure access to health care in detention or protection against death threats. This book addresses the question how such provisional measures can be made as persuasive as possible.